New in the collection the favourite basic jersey blazer with knitted sleeves, for even more wearing comfort. Fake flap pockets on front are finished with the same knit. Rich details of refined artworks make this blazer distinctive! Timeless white jeans jacket! Finished with two chest pockets and two side pockets and mini fringes along the button list. Tasteful long feminine blazer in a comfortable jersey quality, uni color on the outside and stripes on the inside. In many ways to combine both sporty and dressed, a blazer for everyone. Basic step blazer in one color enriched with a fine lurex pattern. Lapel collar and cuffs with button closure. Finished with refined embroideries and a patch. Stepped blazer with a perfect fit, a lapel collar and cuffs with button closure. In each color with a matching color piping along collar and entire front. Luxury artwork makes this blazer distinctive! Beautiful feminine long stepped blazer in very comfortable jersey quality with a lapel collar, 3-button closure, 2 pockets with luxury tape, padded cuffs, logo embroidery and artwork. In many ways to combine both sporty or dressed. New stepped blazer with renewed stitching in many fashionable colors. Lapel collar with 3 button closure, two fake flap pockets. 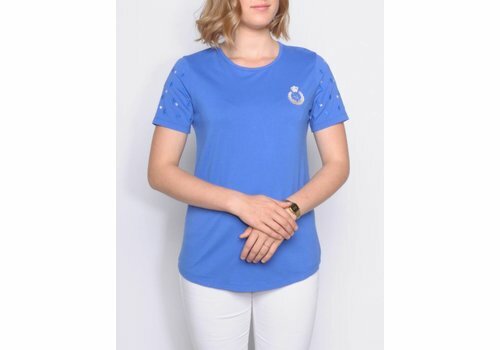 Finished with sporty tape on the side and in the back of the collar and with subtle embroideries. 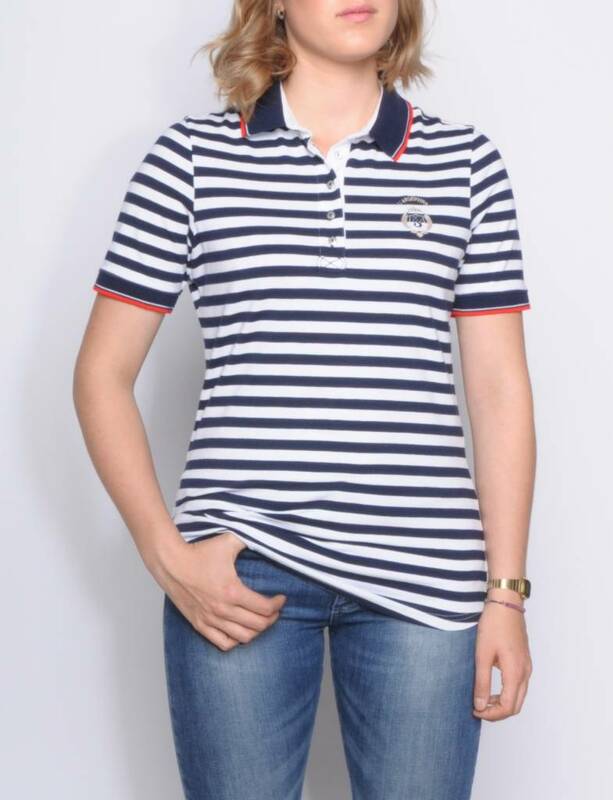 Sporty striped polo, available in different colors in jersey quality with a subtle artwork on both the front and back. Basic stepped blazer with perfect lines in a uni-color, enriched with double ton sur ton tapes along the sleeves. Finished with lapel collar, button closure and sophisticated embroideries. 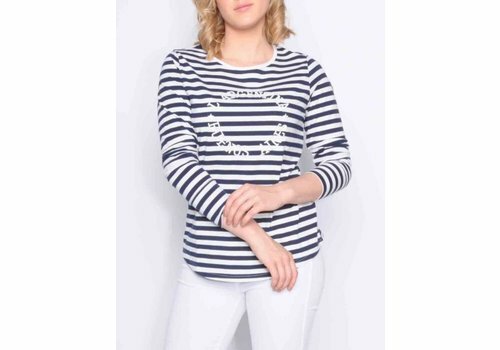 Feel young, fresh and free in this striped T-shirt with round neck and short sleeves. Finished with a text on the front and a logo on the sleeve. An early in the season must have for every wardrobe this season! Striped T-shirt with round neck and long sleeves. Finished with a text on the front and a logo on the sleeve. Skirt in a punto roma quality with a knit waist band finished with fake zip pockets on front and back pockets and an open split. 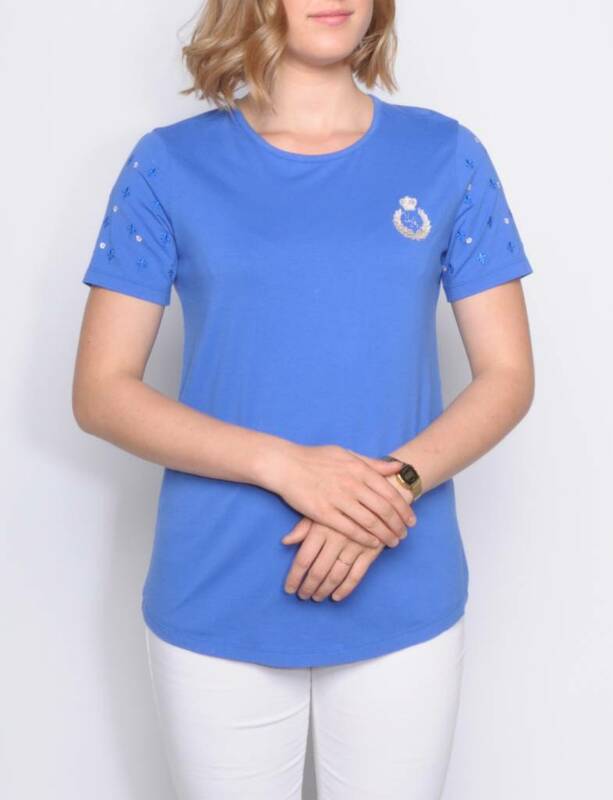 T-shirt round neck with short sleeves, embroidery and a perfectly finished round bottom. Finished with a subtle artwork on the front and a button closure behind.